Booked the Jailbreak experience for a group of 14 friends from work. It was an excellent team building exercise and a lot of fun! Actors were 100% spot on and made the whole experience one to remember. Some of the puzzles were a little ambiguous but they certainly kept us busy for the hour. 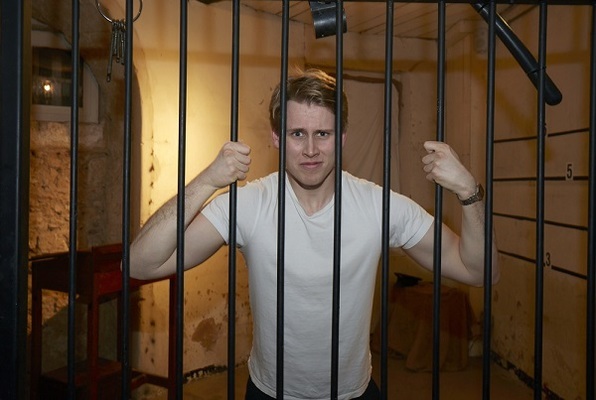 Being shut in the original jail cells with a terrifying matron prowling the halls outside added the perfect touch for a Halloween themed activity and interacting with the characters adds something that the other escape games don't provide. So if you're looking for something different and quirky with a challenge thrown in then I'd highly recommend this! Do you have what it takes to break out from our prison? 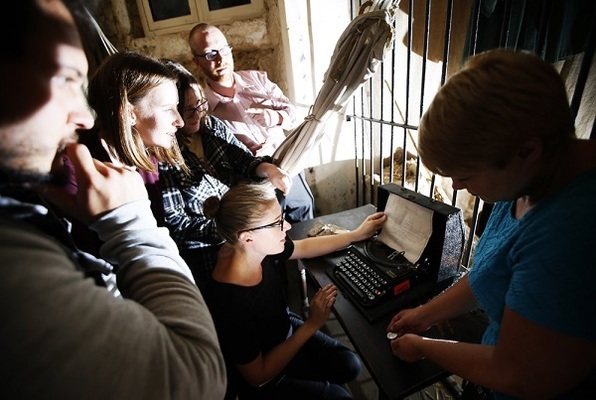 Escape your cell from under the watchful eye of the warden, using your wits to solve our myriad of puzzles, codes and clues before your time runs out! Jailbreak makes use of a telephone and musical soundtrack. It is advised that you have at least one member of your party who does not have a hearing impairment. Jailbreak has occasional written clues, and it is strongly recommended that at least one of your group speaks fluent English. Physical representations of locked room mysteries are starting to emerge as a phenomenon in their own right but this is a touch above the rest. The setting is second to none, at the top of a winding staircase in an old prison tower and the puzzles are testing but logical. A great way to spend an hour! Brilliant, we had such a great time. so nice to do something different! I would recommend it to all. Clearly we escaped! !